Malaysia’s capital city is often overlooked for more exotic experiences like rainforests and beaches. But Kuala Lumpur is home to plenty of stunning architecture, history, exciting experiences and foodie gems. Here’s where to go. 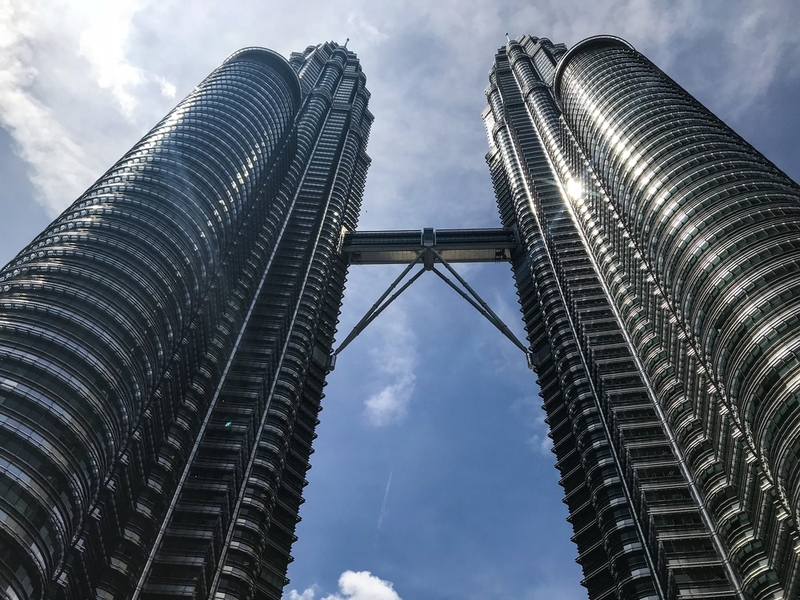 They’re iconic, so even if you normally avoid tourist attractions, you’ll have to make an exception for the Petronas Twin Towers. 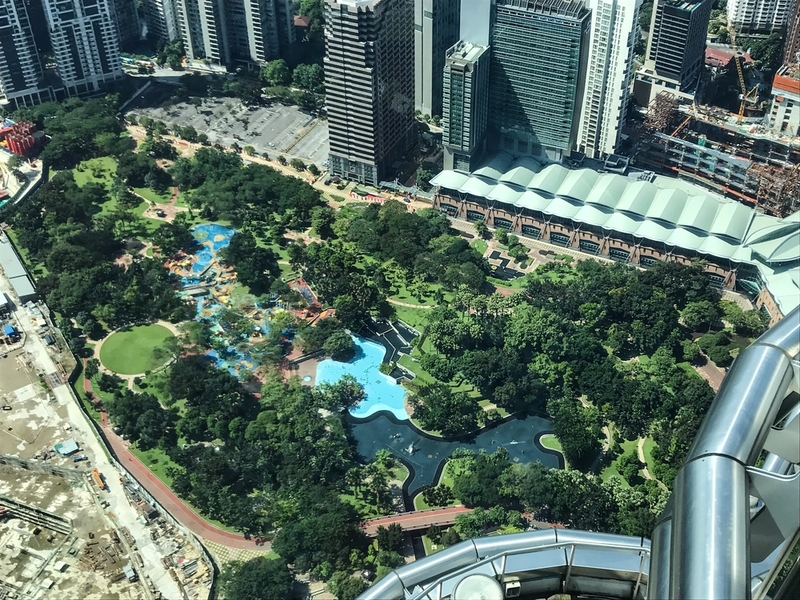 There are two observation decks on different floors – both with spectacular bird’s-eye-views of Kuala Lumpur and close-up looks at the towers themselves. Make the effort to walk through the Sky Bridge for a different perspective and a slightly out-in-space feel. The neighborhood around the KLCC (Kuala Lumpur Convention Centre) really does have something for everyone. Suria KLCC is an upscale mall with shops, restaurants, and access to the twin towers and Petrosains museum. The Petronas Art Gallery showcases local talent, while Aquaria KLCC is an interactive aquarium that explores every facet of ocean life. Perhaps the best part of the neighborhood, however, is KLCC Park. Kuala Lumpur’s biggest green space stretches over 20 hectares and features walking trails, a lake, fountains, and waterfalls, making it a great place to kick back for an afternoon. Like any city, Kuala Lumpur has museums aplenty. But the Istana Negara is a rather unique proposition. 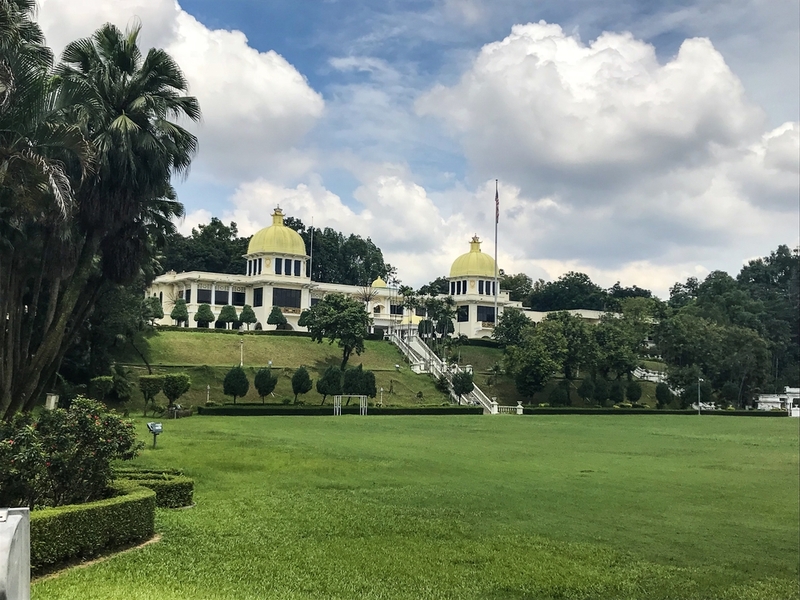 Once the main palace of Malaysia’s royal family, the Istana Negara is now a royal museum where visitors can learn about the regal family, see costumes and rooms (the private dentist office is an interesting feature!) and even see a changing of the guards ceremony. The Sultan Abdul Samad building in the historic center of Kuala Lumpur. Kuala Lumpur is a true melting pot of cultures, which means that it has some serious architectural gems. Admire the neo-Mughal and Moorish Revival masterpiece that is the Sultan Abdul Samad building. 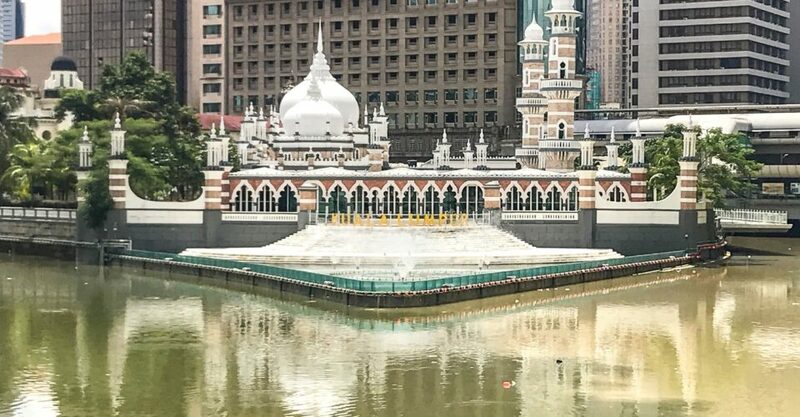 Behind, the Sultan Abdul Samad Jamak Mosque – Malaysia’s oldest – is a stunning example of Moorish architecture. Amble south through the Art Deco-esque Central Market en route to the original Kuala Lumpur Railway Station. Built in 1886, the station now houses a railway museum and is a great example of colonial British style. A popular destination on the fringes of the city, the Batu Caves are famous for its many Hindu shrines and temples built into limestone cliffs. For active visitors, there are over 160 rock-climbing routes and easier treks, and the chance to check out all the wildlife and nature in the area. Don’t miss the adjacent Dark Cave, where you can go spelunking. There are plenty of places to shop in Kuala Lumpur, but the Bikit Bintang Golden Triangle is probably the most popular. The Golden Triangle is actually the area bordered by three streets – Jalan Imbi, Jalan Sultan Ismail, and Jalan Raja Chulan. Here, you’ll find a wealth of boutiques and malls selling everything from fashion and tech to designer goods and electronics. Top spots include Low Yat Plaza, Sungai Wang Plaza, Lot 10, and Times Square. 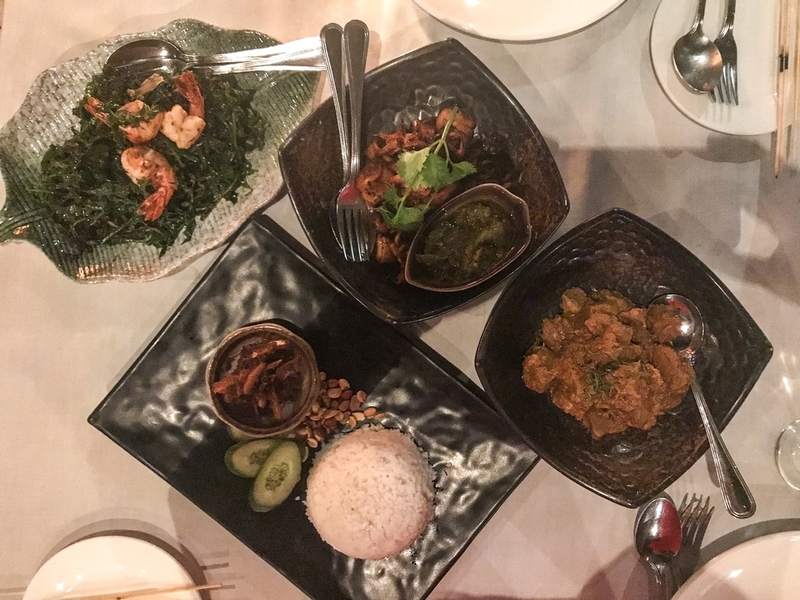 A meal at Bijan, including nasi lemak and rendang. Photo: Gayatri Bhaumik. Located on the popular Changkat Bukit Bintang street, Bijan is one of the few upmarket Malaysian restaurants in Kuala Lumpur – and certainly its most charming. 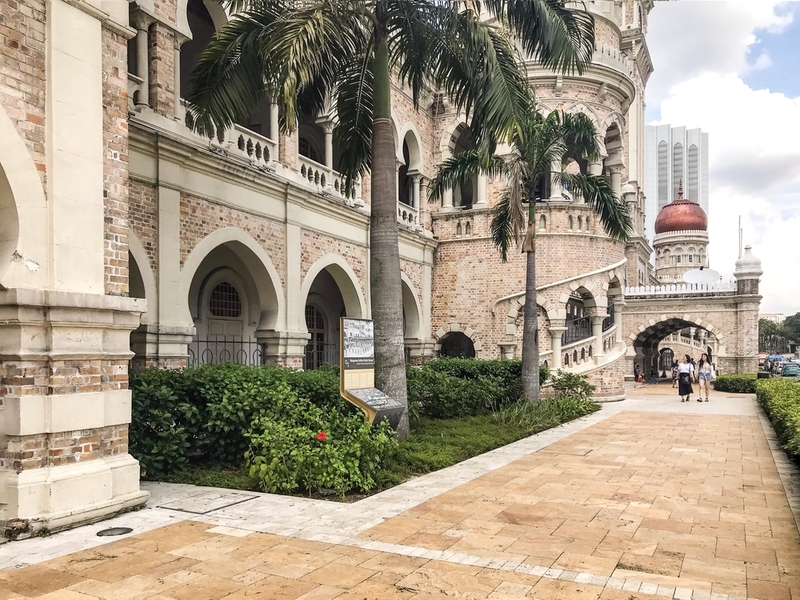 Nab a table in the outdoor courtyard and sample traditional Malay favorites like rendang, satays and nasi lemak. Reservations are highly recommended. This former red light district has cleaned up its act and transformed into one of Kuala Lumpurs favorite foodie havens. Head here for dinner – stalls are set up only when the sun sets – and expect to feast on some of the city’s best street food. Take your time to peruse all the offerings before picking different dishes from different vendors to make up your meal. Tucked into posh Starhill Gallery is another hidden gem upscale Malay restaurant. They may look modern, but the signature dishes at Enak are traditional and based on family recipes and are a real taste of home cooking. Don’t miss the sambal tumis udang (fried chili prawns) and ayam goreng lengkuas (fried chicken). The Indian banana leaf meal is a quintessential experience, and this is the place to go to try it. Your meal of rice, vegetables, curries – and extras like fried chicken or battered squid – are served on a banana leaf (of course) with a healthy helping of pickles and pappadums. Petaling Street may be full of touristy shops, but it does hide a few foodie finds. Kim Lian Kee is known for its Hokkien mee – noodles fried with seafood and pork in a rich sauce. There are two stalls, so this is a game of pick your own adventure. The modern eatery has a more extensive menu that includes buttered praws and chee chong fun, but the original is a charmingly rickety old spot where noodles are cooked over charcoal stoves, lending a deliciously smokey flavour. If you need a change of pace, Tamarind Springs is a lush, green respite from Kuala Lumpur’s hustle and bustle. And it serves scrumptious Indochinese food in a romantic setting of Balinese furniture, thick foliage, and candlelight. 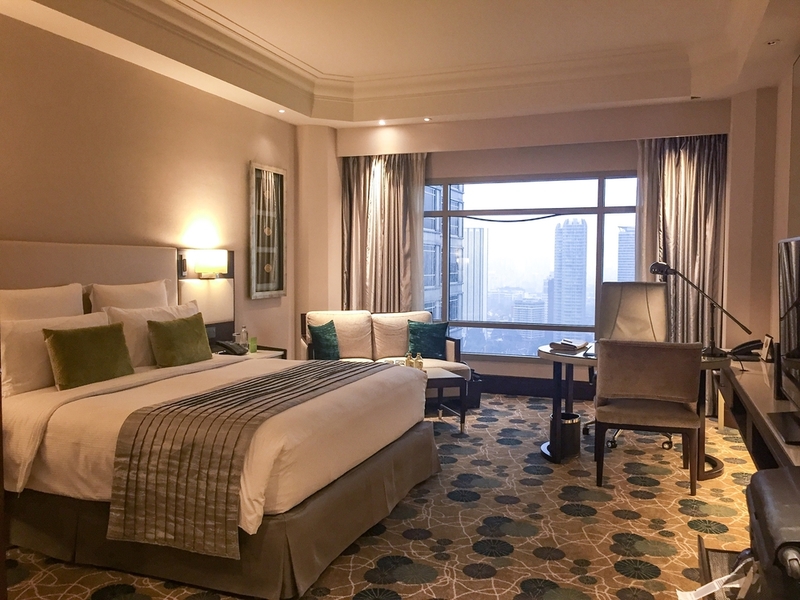 One of the city’s most luxurious palaces of slumber, the Mandarin Oriental Kuala Lumpur is conveniently located in the KLCC neighborhood with easy access to KLCC Park, and the Petronas Twin Towers. Rooms are plush and comfortable – pick one with Twin Tower views – and when you venture out, there are a range of international restaurants and bars, and a oasis-like spa. Cathay Pacific, Malaysian Airlines, Air Asia and Jetstar all offer daily direct flights between Hong Kong and Kuala Lumpur. There are plenty of tourist-friendly public transport options for cruising through the city – you’ll want to try the GO KL City Bus, LRT and MRT-SBK. To make things easy, download the Grab app and use ride-hailing cars to get around.